This year on August 21, 1969 Hawaii became the 50th state of the USA. The typical instrument of Hawaii is the tiny ukulele, and one of the musicians, who really know how to play the ukulele is Jake Shimabukuro. The following video shows how Jake Shimabukuro plays one of his most successful pieces, the Beatles song While my Guitar Gently Weeps played on the ukulele. 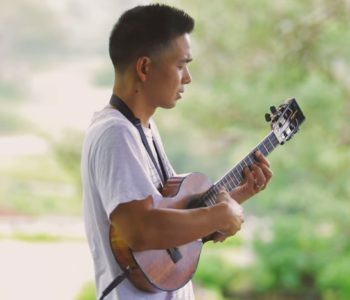 The ukulele played by Jake is made from beautiful koa wood, the typical wood that also grows in Hawaii and that is used for the best ukuleles. The French ukulele site ukulele.fr pointed me today to British Pathé. British Pathé is one of the oldest media companies, the founder of the company – Charles Pathé – began already in the 1890s to work with moving images. They produced weekly movies with the events and news of the week for the cinamas and by this have collected a huge archive of movies from between 1900 and 1970 when they stopped producing the cinema newsreel. You can search for words like mandolin, ukulele or banjo to find movies with those instruments. This video shows some nice mandolins, obviously Calace models, and also a big mandoloncello. There are also some other videos with groups of mandolins and guitars. 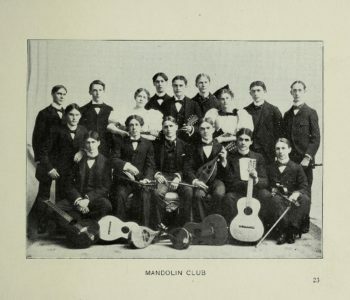 Gaston Palmer is using a mandolin with a small bowl and juggels with it, and at the end plays some notes on this mandolin.